Hey folks! I just posted a new build that should fix issues with stereo rendering on different headsets. 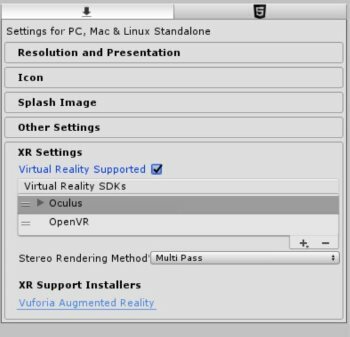 I tested both OpenVR and Oculus SDKs, with multi-pass and single-pass rendering enabled. One thing to know: if you already made your own override Template.shader files, they'll need to change. See the updated RaymarchTemplate.shader for the newer, slimmed down version of the template, or this gist for the changes to RaymarchTemplate.shader. Enjoy and please post in the forums if you run into any issues! Scene view picking and more!